Nationally, employment in the blue collar sectors grew by 26,000 in August, an increase of 0.1 percent compared with July. The total number of jobs in these sectors has increased by 789,200 (3.9 percent) since August of 2017. 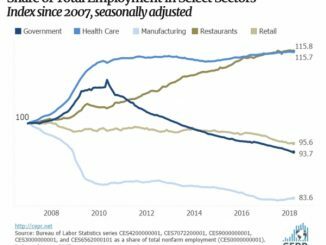 Despite this growth, this is still 5.0 percent lower than the total number of blue collar jobs at the onset of the Great Recession. Eighteen states lost jobs in blue collar sectors. The largest losses were in Kentucky (3,700 or -1.1 percent), Pennsylvania (2,200 or 0.3 percent), and Illinois (1,500 or 0.2 percent). Texas added 6,800 blue collar jobs (a 0.6 percent increase), followed by California (4,300 or 0.2 percent), and Florida (4,200 or 0.5 percent). Manufacturing employment, which has seen steady growth over the last 12 months, fell by 3,000 jobs, nationally. Several states saw declines in the total number of manufacturing jobs last month. 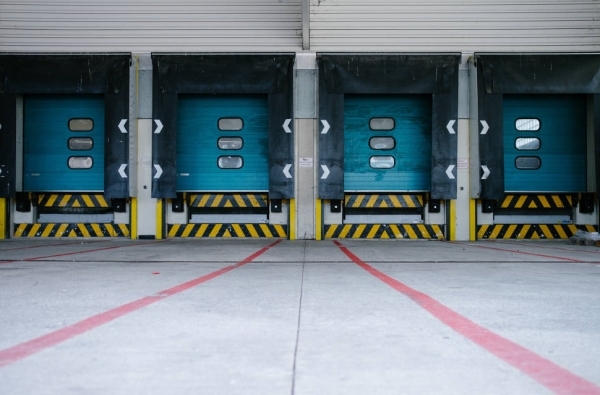 Kentucky experienced the largest drop-off, as it shed 2,300 jobs or -0.9 percent of manufacturing employment. All of these losses were in durable goods, which lost 2,400 jobs while nondurable goods employment increased by 100. Manufacturing in the state since August of 2017 is now down by 1.5 percent or 3,700 jobs. Indiana lost 2,000 jobs (0.4 percent) last month, 700 in durable goods and 1,300 in nondurables. Ohio lost 1,800 jobs or -0.4 percent and Missouri lost 1,500 jobs, a 0.6 percent decrease. The losses in Indiana and Ohio were the prime drivers in the decline of manufacturing jobs for the region colloquially known as the rust belt. The only other states in the area that lost jobs were Illinois (-300 jobs or -0.1 percent) and Pennsylvania (-600 jobs or 0.1 percent). Total job loss for the month in this region was 2,200 or a -0.1 percent change compared with last month. In terms of national Census divisions, only the West South Central states (3,700 or 0.3 percent) and the Mountain states (600 jobs or 0.1 percent) gained manufacturing jobs. Nationwide, manufacturing wages are up just 1.8 percent over the year. The nation added 23,000 construction jobs in August. In terms of raw numbers, California’s 5,200 jobs (a 0.6 percent increase) led the way. Washington added 2,900 jobs ( 1.4 percent) followed by Minnesota (1,700 jobs or 1.4 percent), and Virginia (1,400 jobs or 0.7 percent). Sixteen states lost construction jobs. 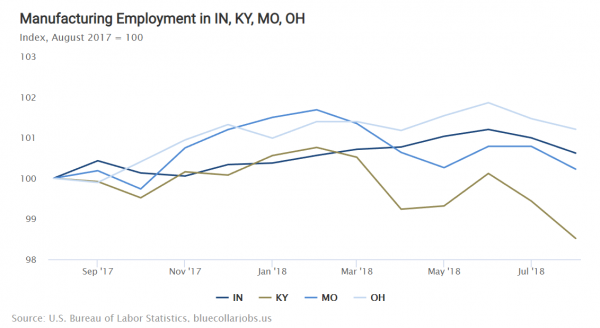 Kentucky fared the worst with a loss of 1,400 jobs, a decline of 1.8 percent compared with July. Other states with significant losses include Pennsylvania (1900 jobs or -0.8 percent) and Illinois (1,200 jobs or -0.5 percent). Employment in mining and logging grew by 0.8 percent, or 6,000 jobs, in August. The number of coal mining jobs nationwide was flat for the fourth consecutive month at 53,100. Much of the growth in this sector was once again led by support activities jobs, which increased by 6,300, a 1.8 percent increase on the month. Like the larger mining and logging sector, the number of these contract jobs in support activities fell from September/ October 2014 through November of 2016. Since then, however, monthly job growth has outpaced other industries in the sector and these jobs have been the main source of growth of the past two years. Alan Barber is Director of Domestic Policy at the Center for Economic and Policy Research (CEPR) in Washington, D.C. The Center for Economic and Policy Research (CEPR) is an independent, nonpartisan think tank that was established to promote democratic debate on the most important economic and social issues that affect people’s lives. CEPR was co-founded by economists Dean Baker and Mark Weisbrot in 1999.